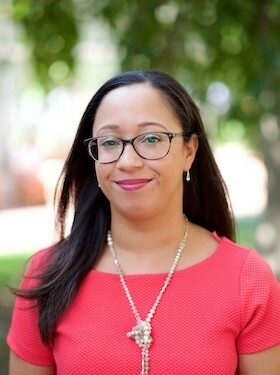 Sophia Hall joined Lawyers for Civil Rights in 2016. As an experienced litigator, Sophia handles a broad range of civil rights matters. Sophia actively represents people of color and immigrant women to protect their rights in the workplace and in the community. Most recently, she filed a landmark sexual harassment lawsuit against a prominent national restaurant chain expanding #MeToo to #YoTambien. She also successfully resolved a precedent-setting racial profiling matter creating a blueprint for police departments across the country to implement comprehensive implicit bias and search/seizure training. Additionally, Sophia has a growing practice focused on dismantling barriers to diversity in public agencies. Her work is regularly featured in publications such as the New York Times, the Boston Globe, and NPR. Prior to joining Lawyers for Civil Rights, Sophia was a Staff Attorney with AIDS Action Committee of Massachusetts, New England’s largest HIV/AIDS service organization. There, she represented low-income individuals living with HIV/AIDS in a wide range of issues. She also advised the organization on legal matters. Sophia is a graduate of Boston College Law School, where she served on the National Frederick Douglass Moot Court Team. She also holds a bachelor’s degree from Emory University. Sophia currently serves as the Chair of the Women of Color Committee for the Women’s Bar Association. Sophia has been recognized as one of Boston’s Top 25 Most Influential Millennials of Color, and as an “Up & Coming Lawyer” by Massachusetts Lawyers Weekly.